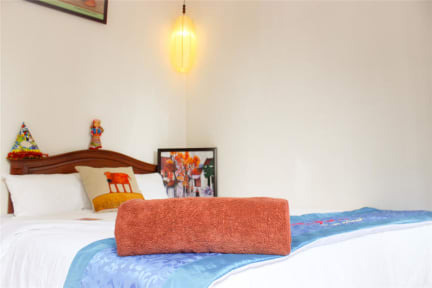 The hotel BC Family Homestay - Hoan Kiem Lakeside is a true «2-star Boutique». 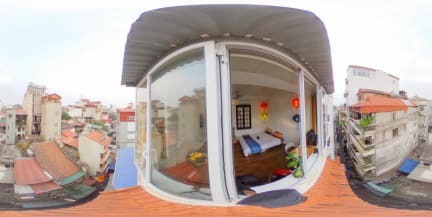 Without the luxury of a traditional boutique-hotel, it has all its other characteristics such as its exceptional location, the elegance of its decoration, its equipment, and the personalization of the services.Only 4- 5 minutes walk to Hoan Kiem Lake, Heart of Vietnam and Hanoi city, with a lots of Green Trees, Plants, flowers. When you are using our services, you helped local people and poor children. we are giving 15% of our profit towards charity projects. BC Club – a cultural and social organization began from December 25, 2006 to the present. We are working hard together with the community to help disadvantaged children in Vietnam to approach Education, Health and Culture Exchanges with the best quality. Very nice hostel , but very calm. The dormitory was empty. So not so good if you want to meet people but perfect to take some rest. The location was perfect , in a small typical street. It was very nice ! The staff est very friendly and helpful! The negative point is that there is no breakfast. Very good location (in the middle of the city but still very quiet). Rooms are ok, bathrooms not so clean. Good stay but lake of atmosphere.